Under the deal, Navantia will manufacture jacket foundations for the turbines and the structure of the project's substation. 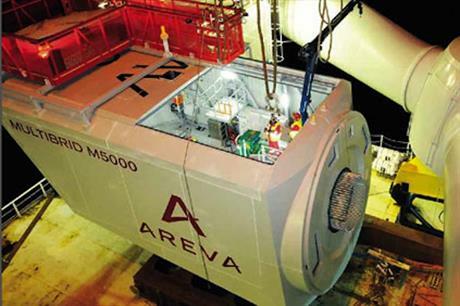 The project is expected to use Areva M5000 5MW turbines. It is the first major offshore wind contract for Navantia. Iberdrola said both sets of foundations will be built in Spain, with jackets going to facilities in Cádiz and the structure to A Coruña. The contract will provide a welcome boost for Spain's offshore wind industry, which has failed to progress despite a number of early test projects. Iberdrola said the deal would enable Navantia to participate in its other offshore projects. These include the 6GW East Anglia One project in the UK, and the 500MW Saint Brieuc in France. Last month, Areva revealed negotiations are ongoing between Iberdrola and Areva over the turbine supply deal.